Our classes are conducted by Dr. Gupta, who has an intense knowledge of alternative medicine like Acupressure, Acupuncture, Homeopathy, Ayurveda and Healing Sciences. 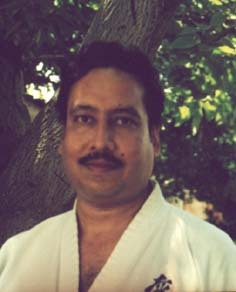 Sensei Dr. Sunit K. Gupta is blessed by his destiny and various guru. He is a yogi since early childhood. With practice and experience he developed his unique system of Yoga and named it as "Karyog." "Karyoga" tm or "KaraYoga" tm which in Sanskrit means "Do-Yoga." If we do "Sandhi-Viched" Kar + Yog = Karyog. Consciously or unconsciously we do Yoga 24/7. In modern English it means "Karate + Yoga." Yogi Gupta has also created his other system of Yoga named "Maha Yoga" literally meaning "The Greatest Yoga." Depending on the need of the practitioner, Mahayoga is targeted for the desired result. Needles to say Dr. Gupta has cured numerous diseases from time to time. Dr. Gupta also combines the God-gifted Science of Ayurveda, Homeopathy, Tantra , Reki and Pranic Healings in the teachings of Mahayoga. 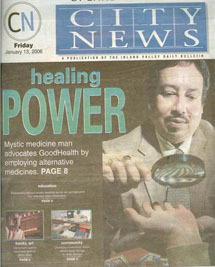 He does provide private sessions to diagnose and heal problems. Dr. Gupta believes that "Yoga" should not be sold as being sold saying "One Size Fits All". Instead of helping it may damage if it is bought from the package and practice without expert supervision. He believes in various type of people : Depending on their Prakriti, Janam Kudali (Birthchart) and other variables should have different practices than taking a Pill to cure and achieve everything. It is the path of Hath (stubborness) it is not easy to follow anyone or anyone's practice. The practice has to be custom made for the serious would be yogis. He has amended and invented special exercises for special purpose. Mantra of Life should be do the right Yoga and "Do-Yoga"-"Kar Yoga" Dr Gupta is also a karate expert and is the Chairman of the North American Ashihara Karate Federation.